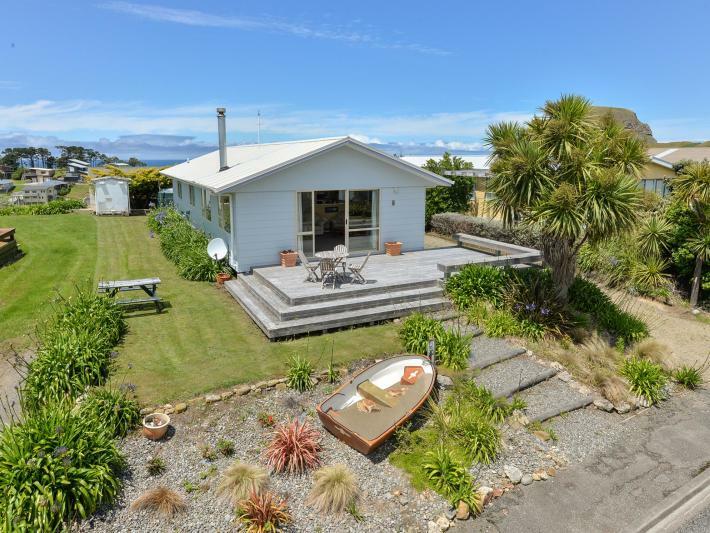 Well located and maintained - this Castlepoint property commands attention. Exceptionally well maintained and presented the Bach comprises spacious open plan living, modern kitchen, three double bedrooms, (master with ensuite), family bathroom, utility room and large shed for storage. A substantial deck provides the ultimate entertaining area and plenty of room to relax in the sun and enjoy the stunning panoramic views of Castlepoint Bay and beyond. Castlepoint - (Voted in the top 10 Beaches in N.Z), is a small coastal township, 50 minutes East of Masterton, set in a dramatic seaside environment with safe sandy beaches, exceptional fishing, diving and surfing, a nine-hole golf course, a general store and features the iconic Castlepoint Lighthouse and many walks. Family memories or Air B&B opportunity - Enquire promptly and enjoy Summer at the beach. Buyer enquiry over $400,000.